Superfish alimentation esturgeon large 5 litres. Ichi food all season mini 2-3 mm 1 kg. Jbl propond all seasons m 0,5kg. 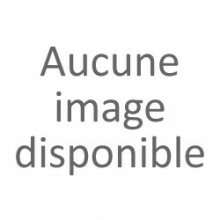 Superfish alimentation esturgeon medium 2 litres. Ichi food all season mini 2-3 mm 2 kg. Jbl propond all seasons m 1,1kg. Superfish alimentation esturgeon mini 2 litres. Ichi food all season mini 2-3 mm 4 kg. Jbl propond all seasons m 2,2kg. Sf koi pro fish feeder. Ichi food all season medium 4-5 mm 1 kg. Jbl propond all seasons m 4,3kg. Jbl propond sterlet s 0,5kg. Ichi food all season medium 4-5 mm 2 kg. Jbl propond all seasons s 0,18kg. Jbl propond sterlet L 6,0 kg. Ichi food all season medium 4-5 mm 4 kg. Jbl propond all seasons s 0,5kg.